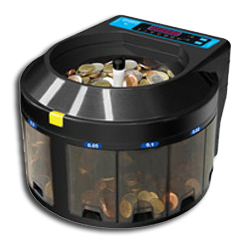 This coin counter/sorter can handle up to 300 coins at a time -more than the total of two registers combined- and count at a speed of up to 600 coins per minute. At this power, you can have your coins counted and sorted in seconds. An easy to read screen gives you values and quantities per coin in addition to the totals. 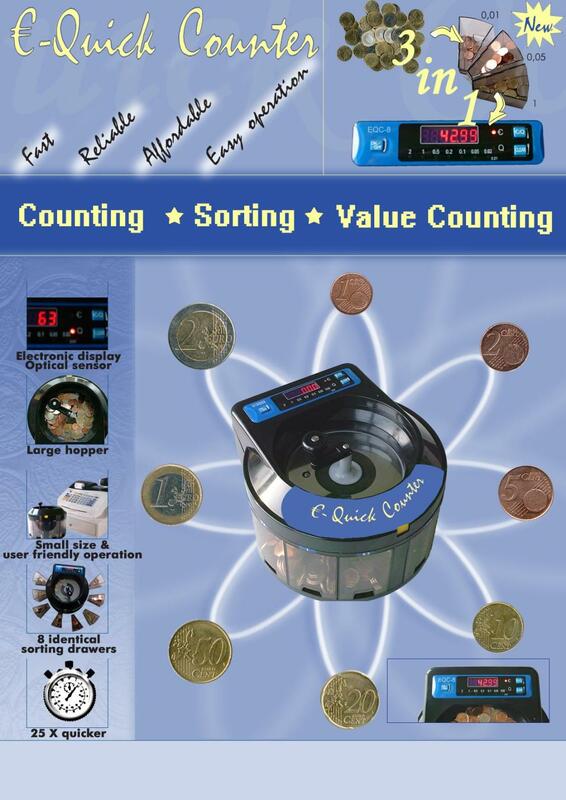 Compact and reliable, this coin counter/ sorter is an invaluable aid for banks, supermarkets, movie theaters, retail locations and any other business environments were coins are accepted.